Many are calling it "the end of an era". The Space Shuttle Program is about to close its doors as NASA and the space industry goes in other directions. As the final days are counting down NASA is in high-gear to prepare for the final shuttle launch--STS-135--on July 8th. On Monday (June 27), the STS-135 astronauts rehearsed the final launch. The four mission astronauts--Chris Ferguson, Doug Hurley, Sandy Magnus, and Rex Walheim--flew to Kennedy Space Center to begin four days of intense training known as the Terminal Countdown Demonstration Test (TCDT), which will ensure that they are well-versed in the procedures for launch day, including abort and emergency scenarios. The astronauts even got to practice driving an M113 armored vehicle in case they have to get away from the shuttle to avoid danger in case of an emergency on the launchpad. They also practiced touching down in a simulator. To learn more about NASA's preparations--and the final mission--make sure to check out the STS-135 RSS feed. The mission, STS-135, will be carried out using the Space Shuttle Atlantis, which was built between 1980 and 1984. This decades-old craft is currently sitting at Kennedy Space Center Launch Complex 39 (LC-39). According to NASA, the mission will "carry the Raffaello multipurpose logistics module to deliver supplies, logistics and spare parts to the International Space Station," which will help keep the ISS running after the Shuttle Program is finally shut down. STS-135 will also investigate the possibility of refueling spacecraft robotically and will also return a failed ammonia pump module to Earth. If you're like me then you'll have all of these running at the same time! Don't miss it! 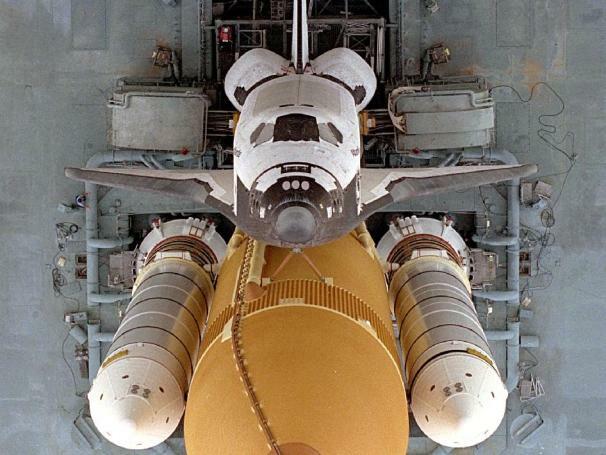 To learn more about the Space Shuttle and the final launch check out the Mission Profile, and then see our previous story on what NASA plans to do next.